Longrich has an ambitious goal of giving each of us not only the chance to live in a harmonious and healthy environment but also build a successful business. Bonuses and Incentives are only the beginning of your business in Longrich, you can achieve the financial status you set to accomplish. Longrich will provide all the resources needed and partner with you to support you on your way to success. Longrich International Business is one of those assets that you can will to your offspring, the bonus qualified can also be transferred to your heir who is enrolled as a Longrich partner. Longrich marketing plan operates on the powerful Multi-Level Marketing (MLM) strategy where the sales force is compensated for both the sales they personally generate and also for the other people’s sales they recruited into the plan. This is an advanced and powerful compensation plan which offers greater profitability. 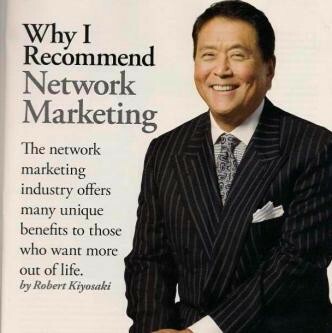 it eliminates the pitfalls, drawbacks and weaknesses of traditional network marketing systems. It will propel you toward Financial Freedom. Products: Select products worth your Entry level. PROMO: Q – Silver Distributor is expected to upgrade within a period of 8 weeks in order to start earning his Performance Bonus, as no payment is made on PV (Point Value) less than 240 by the company. Note: Required PV attainment is very important. Contains mini-combo and starter combo. Reproduce yourself by introducing and recruiting minimum of 2 and maximum of 3 distributors into the business to start earning on weekly basis between 8% – 12% depending on the membership entry level. NOTE: Bonuses are paid in Dollar, based on the current exchange rate. The PV’s under A are summed as one leg, same for B and C.
You will be paid 10% flat weekly on 2 legs with highest PV’s per generation on the bonus legs. Leadership Bonus entitles you to receive a percentage of Performance Bonus, up to 12 generations based on sponsor tree and ranking. You will receive a weekly payment of 15 % Leadership bonus on your 1st generation (10%) and 2nd generation (5%) for a Diamond 2 level ranking. Purchasing a repeat and maintenance order for 30PV and above within every cycle (4 weeks) qualifies for 4 different bonuses. You can earn 4.5% on 30PV from every qualify account within 15 layers under your placement network. You can earn from 21% up to 45% on all performance above 30PV from every account under your sponsor tree in addition to your own account. You can qualify as a Super Director (S.D.) by reaching total group sales of 3500 PV (45%) and above, and be paid 10% on all qualified (S.D.) accounts on your first level. You can qualify as a Super Director (S.D.) and be paid an extra bonus up to 10% by developing your S.Ds into 3 S.D, 5 S.D, 7 S.D and 9 S.D within your sponsor network. Bonus payout from each S.D. will be paid out according to the bonus ratio assigned to each S.D status. Positioning determines your income and future. Being our honourable Platinium VIP member, = worldwide PV x 1% Personal Income/Total Qualified Income x 100, you will be entitled platinum VIP incentive. You will be rewarded with luxury travel, cars and even houses through worldwide Incentive. Incentive points will be calculated every cycle based on your ranking.